Britain's First Photo Album - Francis Frith: "Britain’s First Photo Album is a new ten-part BBC series presented by John Sergeant on the extraordinary achievement of Francis Frith, the pioneer Victorian photographer who embarked upon a colossal project to photograph the United Kingdom during the 19th century. 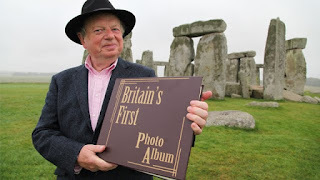 Britain’s First Photo Album follows John Sergeant as he retraces Frith's photographic journey through history, hoping to find the exact spots where forty photographs from The Francis Frith Collection were taken and then take his own pictures, capturing the mood of the place as it is now. 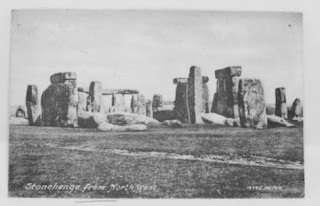 There is a book as well featuring Mr Sergeant at Stonehenge on the cover. The original photograph was also used as a postcard, but I guess that when stone 56 was straightened in a welter of publicity they decided to alter the print, not knowing about the other changes they should have made. Thank you for the information, you are quite right. 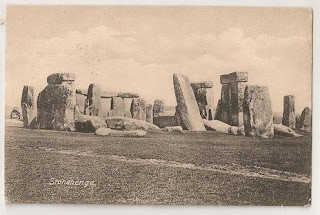 We often find older images in the collection have been altered to 'update them'. 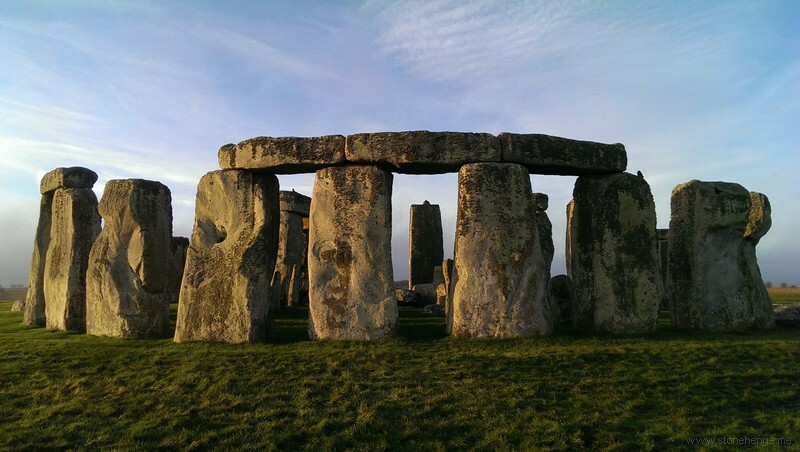 This is all part of the history of the archive so we cannot alter the position of the stone. However, your information has been noted in our database. there is an even simpler clue - Stone 56 wasn't straightened until 1901 ! !